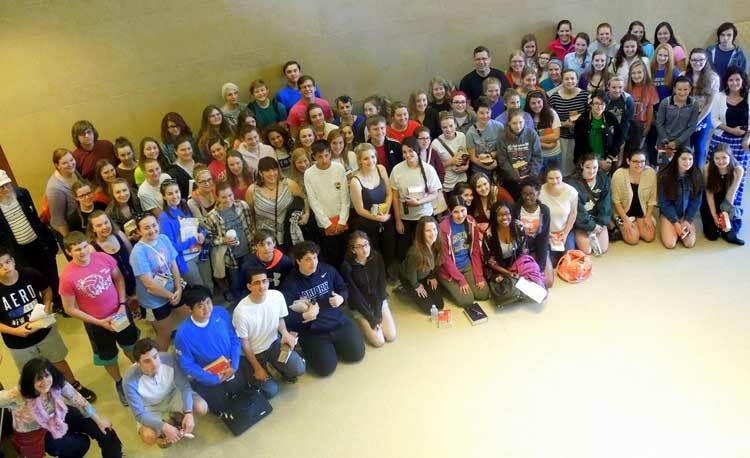 Students from nine St. Louis area high schools discussed the importance of French studies. For the fourth year in a row, the Centre Francophone at Webster University hosted the French Essay Contest of the Alliance Française ("Concours de rédaction") on Saturday, April 16, in the East Academic Building. Lionel Cuillé, the Jane and Bruce Robert Chair in French and Francophone Studies, welcomed 113 students from nine St. Louis area high schools to discuss the importance of pursuing a minor or a major in French. Cuillé also explained that Webster is not only a global university because of its international campuses, but because our university values the importance of foreign languages in our students curriculum. Learn more about the Centre Francophone at Webster University on their website and on Facebook.